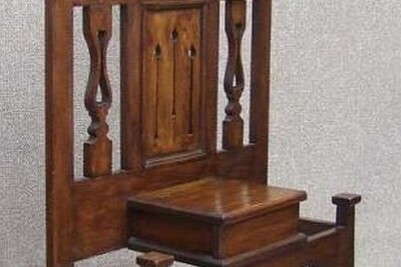 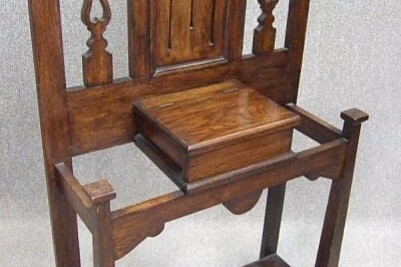 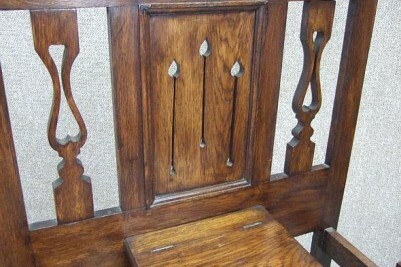 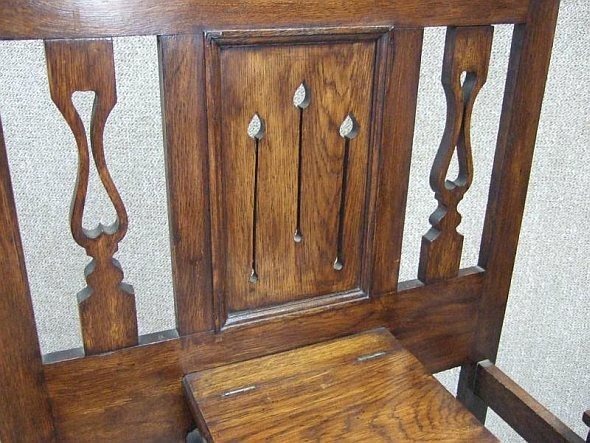 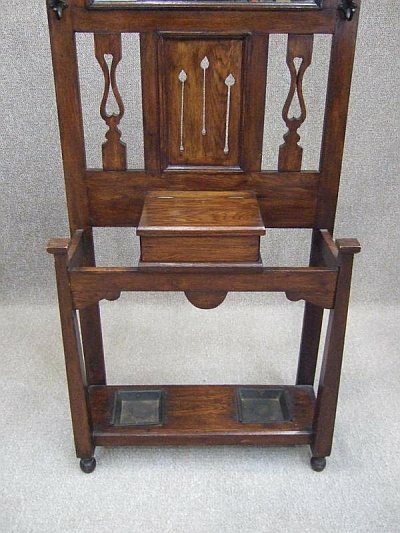 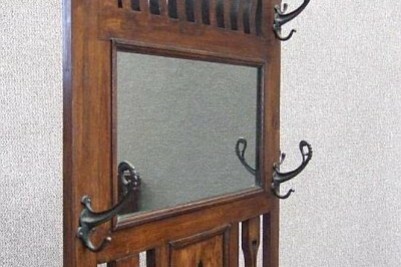 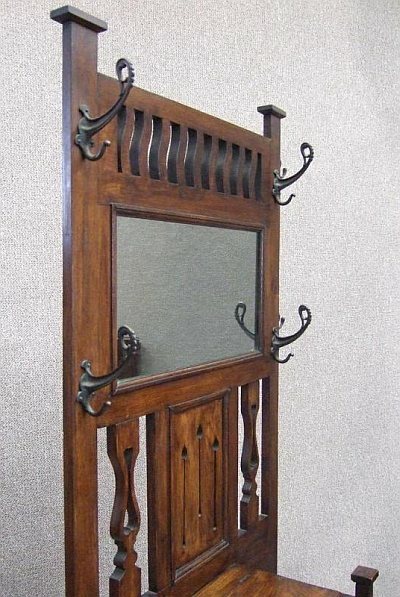 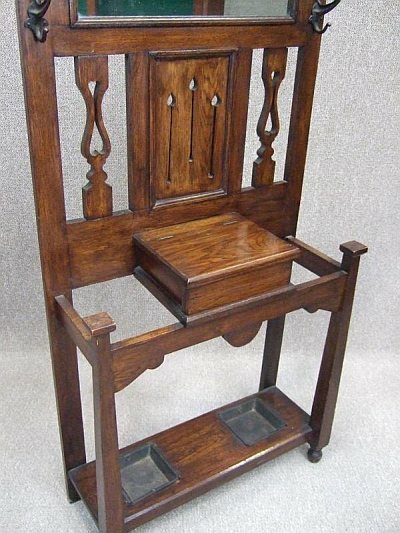 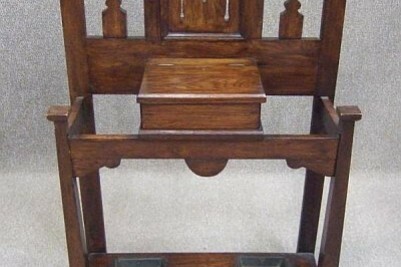 A beautiful, solid Oak, circa 1910 Arts & Crafts hall stand. 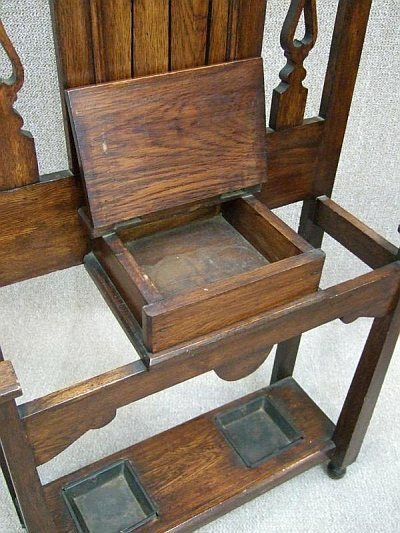 With its bevelled edged mirror to top, and typical arts and crafts styling to centre panels, it has a small lift up glove compartment, and two compartments for walking sticks or umbrellas with original metal trays. 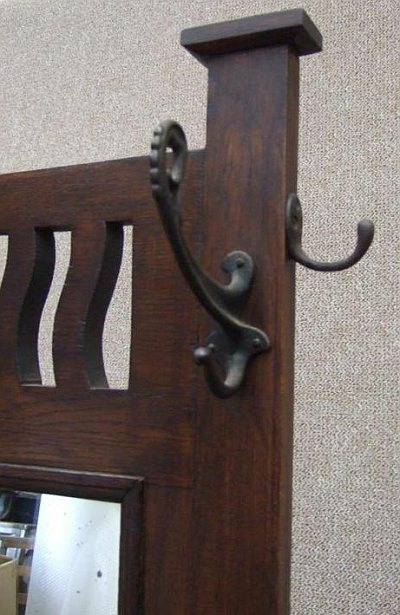 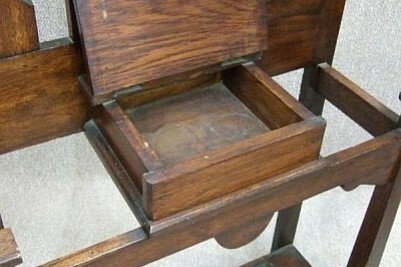 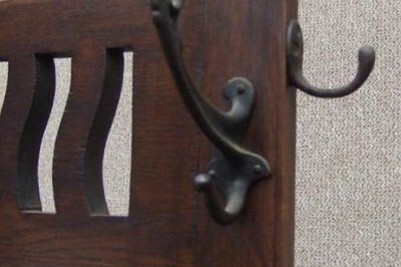 This item features original hooks, and is in good condition; in a lovely warm oak colour.